Highs will be the in the low to mid-90s with mainly dry conditions. Weather Forecast -- July 26 -- 7:30 a.m.
Friday will be hot and mainly dry, with highs in the low to mid-90s. The current record high on this date is 97 degrees for Miami and 95 degrees for Fort Lauderdale. Lows will dip back into the mid- to upper 70s, offering some relief from the heat. Expect scattered storms and slightly cooler weather on Saturday, but temperatures will still reach the low 90s. The extended forecast calls for highs near 90 with isolated to scattered afternoon storms next week. 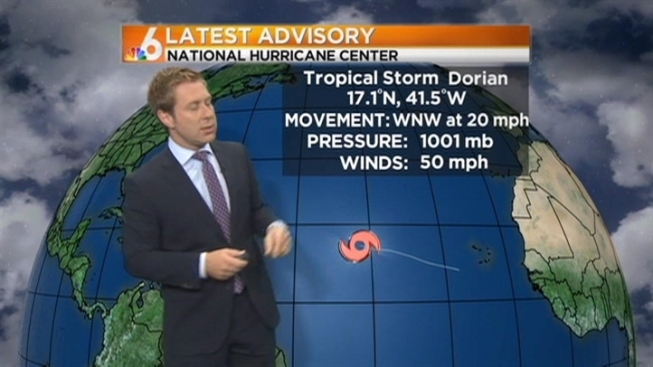 Tropical Storm Dorian could push rain into South Florida as early as Wednesday or Thursday.